Should we really be putting children on the low FODMAP diet? Gastrointestinal complaints are extremely common in children, from mild bloating and discomfort to chronic constipation or diarrhoea, reflux and pain. The reasons behind these symptoms can be straightforward to diagnose and treat with dietary changes and sometimes with the use of medications. Most obvious to diagnose are symptoms which arise with a clear trigger, for … More Should we really be putting children on the low FODMAP diet? 2 Comments Should we really be putting children on the low FODMAP diet? Managing IBS. Problems with GP’s, national guidance and the low FODMAP diet. 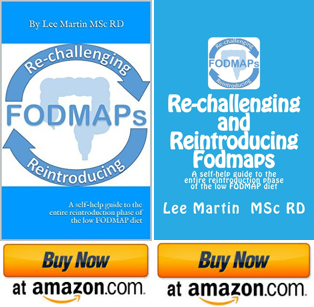 (Updated 2018) by Lee Martin MSc RD Believe it or not, not everyone who has IBS needs to follow the low FODMAP diet! The low FODMAP diet has been such a revelation in the treatment of IBS symptoms that one can forget there are actually many things you can do to help self-manage your IBS … More Managing IBS. Problems with GP’s, national guidance and the low FODMAP diet. 5 Comments Managing IBS. Problems with GP’s, national guidance and the low FODMAP diet.